This itinerary visits archaeological treasures in both North and South Peru. International economy return flights from the UK, Accommodation (as outlined), A mixture of group and private transfers, A mixture of group and private excursions, Internal flights (as stated in the itinerary). Transfer to Lima airport. Fly from Lima to Trujillo and transfer to the Libertador Hotel. Sightseeing today will include the Royal Tombs Museum in Sipan. Leave Arequipa and transfer to Colca Valley. See the highlights of the Colca Valley including the Condor Cross viewpoint. Transfer to Puno, on the shores of Lake Titicaca. Transfer to Puno station. Travel in comfort aboard the Titicaca Train to Cusco. On arrival, transfer to Sacred Valley. Transfer to Ollanta train station. Travel by Vistadome train to Aguas Calientes (Machu Picchu). Tour of site. The morning is free to re-visit the site (second entrance ticket to the ruins is included). Afternoon Vistadome train to Poroy station. Transfer to Cusco. Transfer to Cusco airport. Fly to Puerto Maldonado in the Amazon, and continue by boat to your Amazon Lodge. Transfer to Puerto Maldonado and fly to Lima. Connect with flight back to the UK. This flagship property of Peru’s leading hotel chain offers a very welcoming base for your stay in Lima. This flagship property of Peru’s leading hotel chain offers a very welcoming base for your stay in Lima. The 148 comfortable rooms combine the old and new from traditional Peruvian artworks to LCD tv’s. Leisure facilities include a heated indoor pool. Peruvian cuisine is a trademark of Casa Andina and the hotel’s Alma Restaurant serves Limeno, Peruvian and International dishes. The buffet breakfast is one of the best we’ve experienced in South America! If you are looking for something more modest, choose Casa Andina’s sister hotel, Casa Andina Select, also in Miraflores. The Hotel Libertador is an elegant colonial property, conveniently located on the corner of the main square next to the cathedral. The Hotel Libertador is an elegant colonial property, conveniently located on the corner of the main square next to the cathedral. This comfortable hotel has 78 rooms, furnished to a good standard, including a shower/ bath hair-dryer, direct dial telephone, cable TV, safe deposit box and air conditioning. LCD televisions and ipod speakers have recently been added. The majority of the rooms overlook an interior courtyard which houses a small swimming pool. Las Bovedas restaurant serves regional dishes including fish and other seafood choices. An iconic building in the city, Casa Andina Select Chiclayo has recently been completely refurbished. An iconic building in the city, Casa Andina Select Chiclayo has recently been completely refurbished and now provides 130 modern, spacious air-conditioned bedrooms. Amenities include a large outdoor pool and a terrace where guests can relax and enjoy a drink from the bar. La Plaza Restaurant provides a buffet breakfast and an a la carte lunch and dinner menu featuring regional dishes. Just 5 minutes drive from the centre of the city and 10 minutes from the airport this hotel is an ideal base from which to explore the archeological sites in the area. This boutique hotel is a colonial building dating from the late 18th century and constructed in the local white volcanic stone. 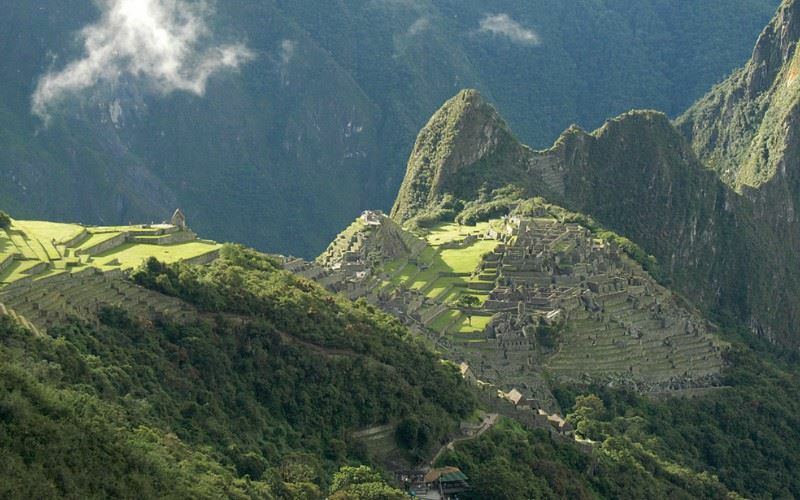 Our preferred choice in Machu Picchu is set in five hectares of cloud forest. The hotel grounds host numerous species of orchids, birds, butterflies, reptiles and mammals. The hotel endeavours to promote contact with nature and local culture by providing on site ecotourism activities such as nature walks, slide shows and bird-watching. The attractive restaurant overlooks the Urubamba river. Accommodation consists of 85 en-suite rooms built in Andean style set amongst tropical gardens. The hotel also features an Andean spa (with massage room), a boutique, a library, a reading room, a bar and a restaurant. The Novotel, originally built as a home for conquistador Miguel Sanchez Ponce, has been sympathetically converted into a 99 bedroom hotel in the heart of Cusco. The charming stone archways and commissioned paintings of saints have been preserved, and the central courtyard with glass roof and heated floor offers an informal yet cosmopolitan atmosphere with lounge chairs, coffee tables, and a stone fountain. Both the colonial and contemporary rooms are spacious, bright and equipped with cable tv, central heating, air conditioning (in contemporary rooms), minibar and direct dial telephone. Other hotel facilities include a restaurant, bar, coffee shop and internet services. Ideally positioned within the rainforest and close to the shores of the Madre de Dios river, this ecological lodge has been created by native artisans using authentic materials which blend in with the natural surroundings. It comprises a two-storey pavilion with high ceilings which house the dining room, bar and lounge, and 34 bedrooms. The attractively furnished rooms (on small stilts) are wooden cabanas built in a traditional Amazonian style with log chairs on private enclosed terraces. They are equipped with mosquito nets, hammocks and private showers and separate toilets. There are standard, superior and suite cabanas. Electricity is limited here, however kerosene lamps (and torches) are provided for the evenings,enhancing the magic of being in this virgin tropical rainforest.